You know that a solid social media strategy is crucial to the success of your business. But do you know how to design images to help grow your social media platforms? In a world where people are constantly bombarded with images on social media, poorly designed ones are going to get passed over instantly. If you’re looking to go viral and dominate social media, good social media design skills are a necessity. Luckily, we’ve compiled a thorough guide to help you up your design game. Although design trends are always changing, there are some principles that always remain applicable. If you master the tips explained below and apply them correctly, you’ll surely see an increase in post engagement. You’ll also see an overall boost to your business. 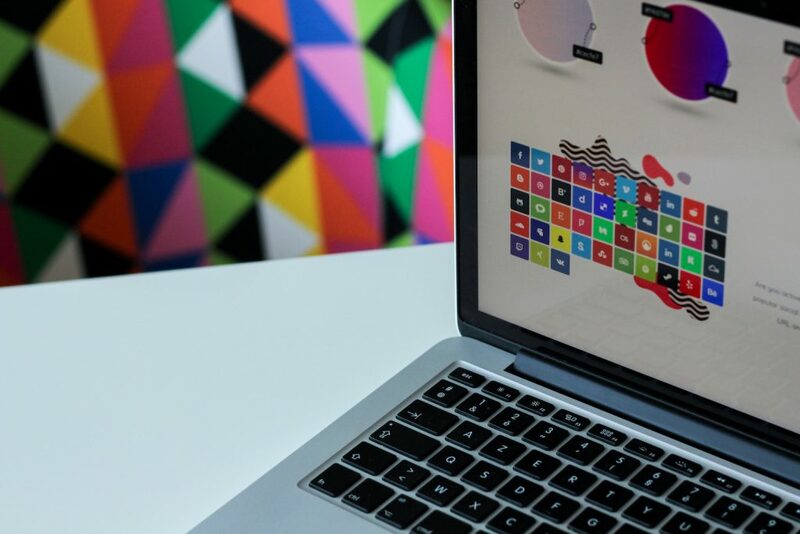 Read on to learn some great social media design tips. Color is one of the most important aspects of social media design. In fact, lots of the judgments that people make about a product or company are made based solely on the colors used in their promotions! When deciding which colors to use in your images, remember that it’s not just a matter of picking colors that you like or think look nice together. You need to also think about how your colors will be viewed by your social media followers. Different colors can send very different messages. So, it’s important to pick colors that align with your business’s key message and values. Clearly, the colors you choose to use in your social media images say a lot about your company. In addition to picking colors that reflect the personality and style of our brand, it’s also important to remain consistent. This doesn’t mean you always have to use the same colors. However, you should choose a general color palette that is consistently shown in your social media posts. This practice is especially helpful when it comes to Instagram content. When someone first follows your business account on Instagram, they will see all your posts side by side. A cohesive color palette throughout the grid will help you look professional and put together. It will also send a clear message about your brand. Bottom line: to really enhance your social media design, take the time to decide on the specific colors that you will regularly use. Use them for the borders, backgrounds, and text on your social media posts. Balance is another important social media design component. Making sure that your images are balanced will ensure that they are visually appealing and will make people more likely to continue following your business on social media. This is generally what comes to mind when people think about balance. An image split 50/50 right down the middle. The idea of asymmetrical balance might seem counterintuitive, but it can absolutely be utilized to make an image more interesting. There are several different ways that you can create asymmetrical balance in an image. For example, balance out a single dominant element on one side of the image with multiple, less dominant elements on the other side. Radial balance occurs when different elements in an image all radiate around a common center. Examples of radial balance include rays of sunlight or ripples in a pond. Aim for this type of balance if you really want to highlight one aspect of an image by placing it in the center. Crystallographic balance can also be thought of as organized chaos. There are many different focal points and no real hierarchy, and all the elements in the image are equally emphasized. The key to pulling off crystallographic balance is repetition. The same basic image is repeated over and over again, with slight variations to make it more interesting. You can create different kinds of balance in images by playing around with size, quantity, light and dark tones, warm and cool colors, and different textures. Give all these different types of balance a try and find what works best for the message you’re trying to send. One way you can enhance your social media design and create balance in your images is to make sure that they have contrast. You can create contrast in a social media image by utilizing both dark and light colors — white text on a dark background, for example. You can also create contrast by using different sized images and text. Frames and grids can help make your images look more interesting and more visually appealing. They also increase the professional quality of your posts. As an added bonus, it is easier to add text on top a grid, and your message will stand out more when it is placed over solid lines. Filters can breathe new life into an image that might otherwise seem dull or uninteresting. They can also be used to tone down an image in the background of a post so that it doesn’t look cluttered or compete with the main message. Filters are great for social media design, but make sure you are using the same one consistently. Just like colors, filters say a lot about the personality of your brand, and you want to make sure you are sending the same message about your business with every social media post. There are literally thousands of attractive, high-quality stock photos out there that are free for you to use to create interesting visuals for your business posts. Also, consider The Rule of Thirds. This involves mentally dividing an image using 2 horizontal lines and 2 vertical lines. You want the most important elements in the image to land on those lines or at the points where they intersect. Also try to use The Golden Ratio. This is — a mathematical ratio that equals 1.6180. Images that contain golden rectangles are generally seen as more visually appealing. While stock photos are great, it is also important to mix things up by adding in your own original photos. Original drawings are also interesting and, assuming someone on your team has artistic talent, can help add a special touch to your business’s social media posts. Original drawings are also interesting and, assuming someone on your team has artistic talent, can help add a special touch to your business’s social media posts. When you create an image to share on social media, you say a lot about your business with things other than words. However, the words you do use — and the way you position them in the picture — still matter. Probably the most important rule to remember when it comes to incorporating text in an image is to keep it short and simple. Nobody wants to read a whole wall of text on a social media image. That’s what the caption is for! A good rule of thumb for using text in social media design: Get your key point across in the image, then provide further details and explanation in the image caption. The way you write the words in your social media image matters just as much as the words themselves. Choosing the right font for your message has a big effect on the way it will be received. One of the most important things to do when it comes to typography is to make sure your message is readable! Pick a simple, easy-to-read font to ensure that everybody knows what you’re trying to say. Sans-serif fonts are generally preferable for the web, so stick to them for your social media images. It might not seem like it would apply to social media design. But when it comes to sharing a specific message with your audience, it’s important to keep in mind the way people typically read. People tend to read in an “F” pattern, an “E” pattern, or sometimes a “Z” pattern. In order to make your images easy to understand, mimic one of these patterns when deciding where to place the most important elements of the image. Want to take advantage of the way most people generally read? Then put the most important and eye-catching aspects of your image in the upper left and left side of the image. An overcrowded image is not going to be well received by your followers. Properly utilizing positive and negative space will create balance in your social media images. It will also make them more appealing. If you have multiple objects or a lot of text in an image, use negative space (the area surrounding an object) to separate these elements. When they are separated, your message with be clear. Now, it won’t feel like different aspects are competing for your followers’ attention. If you have a new product that you are trying to introduce, make sure that it is the focus by ensuring there is plenty of negative space around it. Don’t make the image of the product compete with a busy background or lots of text. Don’t make the image of the product compete with a busy background or lots of text. Sometimes, when an image is overcrowded, it can be useful to take a step back and ask yourself what you’re really trying to say. Once you’ve established the purpose of the post, you can rearrange or eliminate elements to create space and clearly communicate your point. You can also use space in social media design to make your images more effective by using white or light colors. You can also do this by having simple backgrounds and sharpening images. This will more clearly differentiate where one element ends and another begins. As stated above, it is a necessary aspect of good social medial design to make sure that the most important element of your social media image is getting the most attention. In order to use space — and other design techniques — to draw attention to the most important aspect of an image, you must create a hierarchy to determine what the most important aspect is. Once you’ve created a hierarchy, you should make sure that it is obvious in your image. Whether it’s text or a picture of a product, the most important part of your image should be the focal point. All of the social media design tips discussed above are important; however, they won’t make much of a difference unless you are consistent with them. As discussed in the section about color, it is important that you are sending a consistent message about your business with your social media images. In addition to using the same color palette, you should also make sure that you are using consistent fonts, logos, and hashtags. Consistency helps your followers recognize and remember your brand, which will lead to better post engagement and better overall performance. Now that you know more about social media design, where do you go from here? Whether you’re a business owner looking for a designer or a designer looking for work, we can help you take the social media design tips you learned today and apply them to a great social media marketing campaign. Designers, sign up today to start showing off your superior skills. Clients, sign up today to get help from a talented designer who truly knows how to take your posts to the next level and help you dominate on social media!